Shark Diver and Great White Shark research. Shark Diver has been running trips with Great White Sharks at Guadalupe Island since 2000. Our owner, Martin Graf, encountered these sharks while SCUBA and freediving there for about 10 years prior to the first shark dive. Mostly while spearfishing, he, along with many other divers, started to encounter more and more great white sharks, which led us to explore the possibility of specific shark diving there. Little did we know that we discovered arguably the best place in the world to observe these awesome creatures. 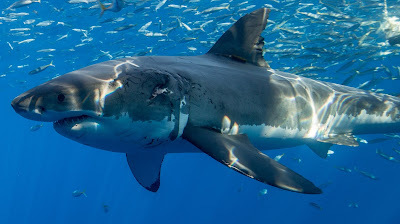 Typically crystal clear waters, with male and female sharks of all sizes in abundance, Guadalupe Island has become the premier place to dive with Great White Sharks. 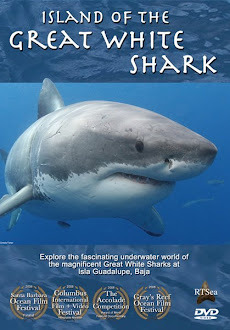 A couple of years after we started shark diving, the Marine Conservation Science Institute, MCSI, began putting together a photo ID database, to keep track of all the sharks sighted at Guadalupe Island. Our ability to identify the individual sharks is what really got me hooked on shark diving. After a few expeditions, I started to get a little bored with watching the sharks seemingly doing the same thing over and over. Luckily for me, just before I decided to stop going there, something amazing happened. A shark, later named "Shredder" swam really close to the cage and made eye contact with me. I realized that he was as much interested in us, the divers, as we were in him. He made eye contact with each individual as he swam along our cage. Realizing that he was checking me out instantly fascinated me. Knowing that they look at us as individuals made me realize that they are all individually different as well. For a lack of a better word, they all have different "personalities". Thanks to the Photo ID database, we have the ability to keep track of all the different individuals we encounter at Guadalupe. We use the transition from the white belly to the grey top, which is like a fingerprint, along with mutilations and individual characteristics to identify the sharks. So now, after diving with the Great White Shark for 18 years, I'm more excited than ever to go back. I don't care if it is the last dive of the last trip, I'm always eager to go into the water. Who is back? Who is new? What are they up to now? I can't wait to go back. Of course maintaining a database involves some expenses. It is time consuming work to look through literally thousands of pictures and videos, to determine who all the sharks that were sighted are. Initially the research was funded through grants, but after about 2012, those funds ran out. When Nicole Lucas from MCSI told me that the research was no longer funded, we decided that we had to do something to keep financing that important database. Shark Diver specializes in identifying each individual shark and giving our guest all the information about them. What year did we first see it, what has this shark done in the past, is it a brand new individual that we have never seen before? These are the things we like to share with our guests and that would of course be impossible without an updated and maintained database. The need to maintain this database is why we came up with the concept of our "Science Expeditions". Our expeditions are designed to raise funds for MCSI and specifically for the maintaining of the database. Shark Diver donates a spot on the expeditions hosted by Nicole to MCSI, and our divers on all of our trips get a copy of that photo ID database. On the expeditions where Nicole Lucas acts as the host, she shares the results of her research with our divers. Not only do you support the ongoing research by joining us on our expeditions, but you'll learn how to identify the individual sharks you see. How cool will it be when you watch shark week the next time and you can say "This is the shark that swam right by me!"? All of our expeditions are either hosted by Nicole or by our owner Martin Graf, who has been diving with these sharks since before there was shark diving at Guadalupe Island. He probably has more hours observing these sharks than anyone at the Island. Shark Diver is committed to not only give you an experience of a lifetime, but to also foster a personal connection to the sharks you encounter, all while supporting conservation. 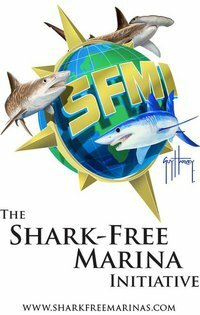 Shark Diver also started the Shark Free Marinas, which has since been taken over by the Humane Society.